Frustrated Caller: When Will Republicans Realize They Run Washington? RUSH: Here is Paul in Bloomington, Indiana. Welcome, sir. Great to have you on the EIB Network. How are you? CALLER: Hey, I’m fine, Rush. How are you? My point is that I’m a supporter of Donald Trump, and his line in the sand is the wall. Now, when Obama drew his line in the sand with Syria on the chemical weapons, nobody expected Obama to back that up. With Trump from the very beginning it was the wall, the wall, the wall. Everybody expects Trump to back up his word. Now, in addition to that, we’re only talking about a billion dollars in that budget, which is not a lot of money, number one. Number two, once and for all, he can crush these Democrats with this thing about the government closing down and so on and so forth. Nothing’s closing down. Social Security checks are gonna go out, food stamps are gonna go out. So maybe somebody can’t go to Yellowstone for two days or something. But here’s his opportunity to really set the tone, go his way and not capitulate with all these other Republicans. They have no guts whatsoever. They’re pitiful. 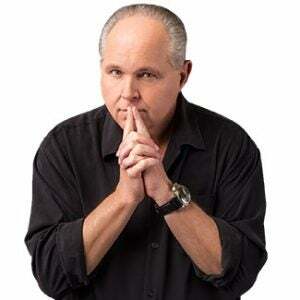 RUSH: Well, I’m sure Trump would tell you he’s not caving; he’s simply waiting until the actual budget talks begin for next year in September to actually include funding for the wall. RUSH: Let me ask you a question when it comes to the wall and your anger, dissatisfaction, whatever, with Trump. Are you really upset about the wall? Or are you mad that the Democrats are getting away with the threat of a shutdown again to force Republicans into doing things they actually said they wouldn’t do? CALLER: Well, the Republicans, it’s a given that the Democrats will always get the Republicans to do whatever they want to do. I mean, that’s just proven. I’m disappointed because this was an opportunity for Trump, number one, to stand with what he said he was gonna do. Everybody expected him to do that, where no one expected Obama to back up his words. And on top of that, it was an opportunity for him at the same time to put this thing away once and for all about this government shutdown stuff and show the Republicans how to lead. RUSH: Okay. But let me play devil’s advocate with you, because what is being said here, “Yeah, yeah, yeah, we’re gonna do the wall later, we didn’t get it this time, but the Democrats have agreed to even stronger border enforcement. They have agreed to more money for border enforcement. They have agreed to a bigger presence in the Border Patrol and ICE. And so when it comes to actually stopping illegals from entering the country, we’re already showing a dramatic change without even doing the wall yet.” That doesn’t fly with you much, doesn’t count? CALLER: Sure. Yeah, sure it does, but the point is that, you know, when he said the wall was gonna be part of this process, immediately Schumer said that’s a nonstarter, so everybody said, “Oh, okay, so we’ll pull it out.” You’ve got to draw the line. It was once and for all. I mean, if they can’t take charge now, I mean, they’ve got the House, they got the Senate, they got the presidency. What the hell they gonna do? They’ll never take charge. I mean, the Democrats just continue to get whatever they want, any time they want it. That is very frustrating. RUSH: I was just gonna say, just gonna say, Paul, you sound very frustrated out there. I’ve run out of time here for this segment. The Washington Post did a story on this. Snerdley brought it to my attention. And the actual first few words in the story: “Rush Limbaugh and his listeners were not happy with reports this week,” and they quoted accurately three callers here. You now would constitute the fourth that actually got through.